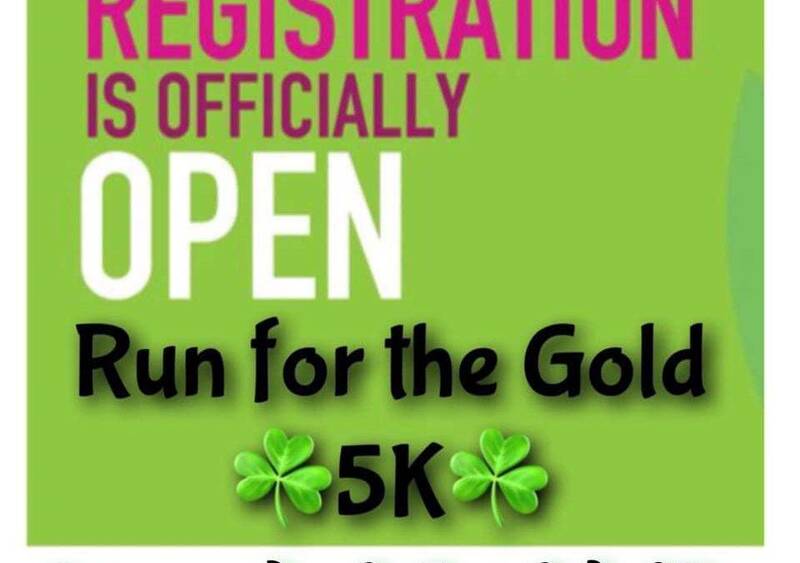 Our 2019 Run For The Gold 5K Race registration is OPEN! Crazy to think that the St. Pat’s Ramble will be hosting its 7th event this year! I know that our event is not until March, but NOW is the time to register for our race, because you get the EARLY BIRD registration fee and you are guaranteed an AMAZING race shirt and race bag filled with goodies! As always, proceeds from our event help support Local Organizations & Families in need . ?